Cindy Crawford shared a picture we, frankly speaking, never in a million years expected to find on her instagram page. 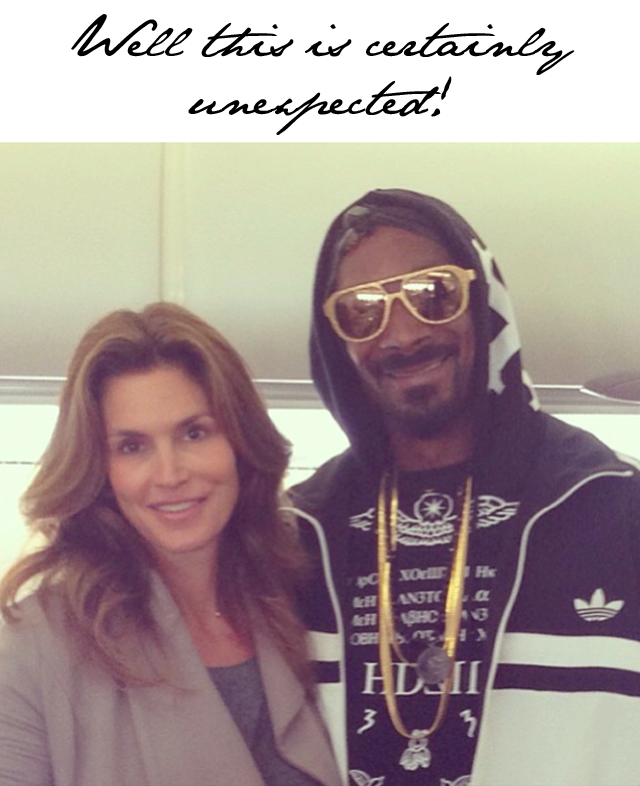 On the way back from her mother/daughter trip to Paris, the super-supermodel shared a run with none other than Snoop Doggy Dog, otherwise known today as Snoop Dog. Cindy writes, "Look who's on my flight! @snoopdogg. I feel cooler just sitting near him." Truly Cindy, we feel it's absolutely the reverse. Snoop looks pleased as punch to be in your presence, and if anything is made cooler by having you in his general vicinity.